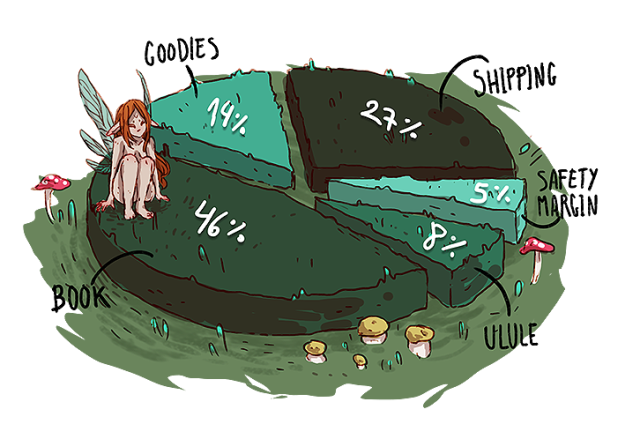 We reached 250% ! You are awesome ! 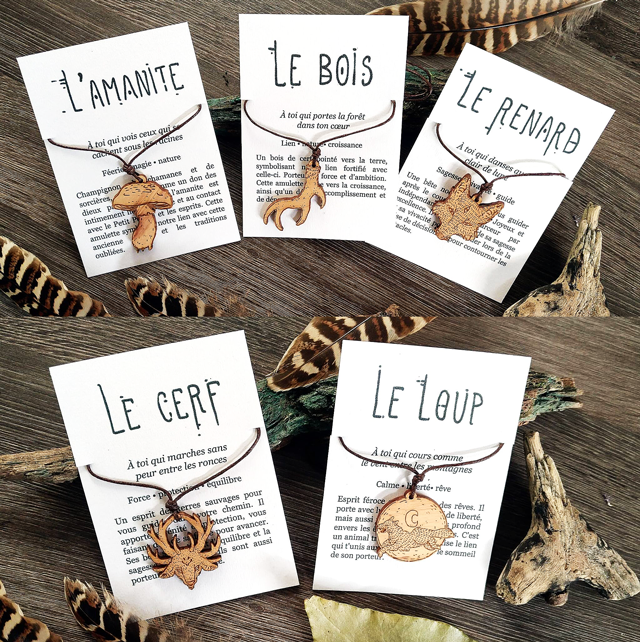 - A wooden charm for all the rewards with the paper book! - A A4 print with textured paper ! Take a look at the news to see the charm design (and sticker when it's done)! Walk into the forest and embark on a poetic journey. Guided by the faeries, go in search of the forgotten lands, where the ancient tales and fables sleep. 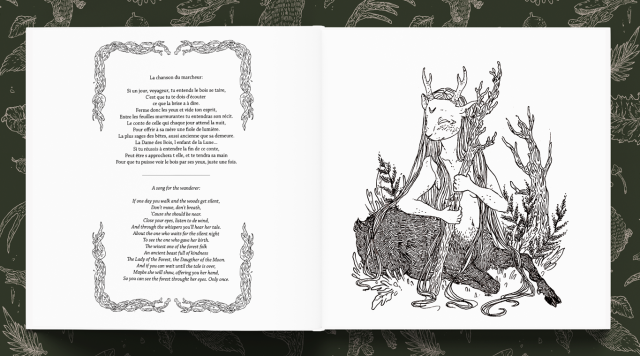 Live a ode to the enchanted things that live in the woods and the nature's magic, meet wild beasts, old witches and some forest spirits... After that, close your eyes and breathe slowly. Let your soul be carried away by the souds of the woods, and perhaps you will feel the kiss of a faery on your skin. That's how I call the fairies, and all those invisible creatures that live the woods. 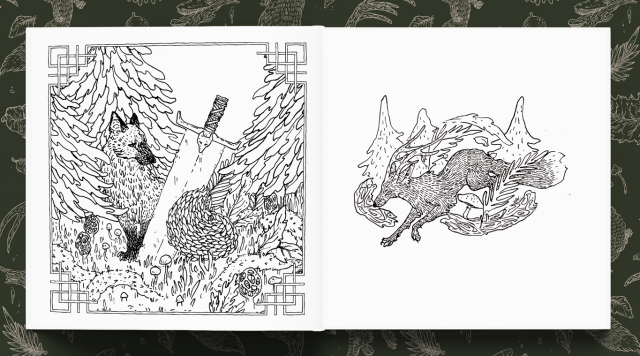 This book is made for the ones who love fantasy and tales, or who just want some of the forest's magic in their homes. 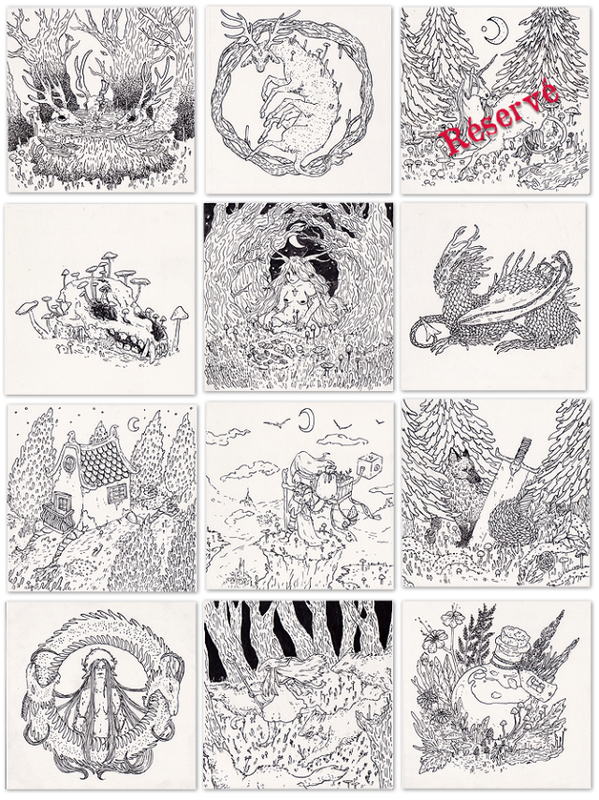 Square format of 21cm x 21cm with soft cover, 130 black and white pages with more than 120 illustrations! Offset papier, suitable for colored pencils. The cover illustration still work in progress. Most of the funds will be used to print the book and other rewards, and another large part will be used to finance the shipping costs. The margin of safety will be my remuneration if everything goes well, and the remaining percentage is for the platform fees. 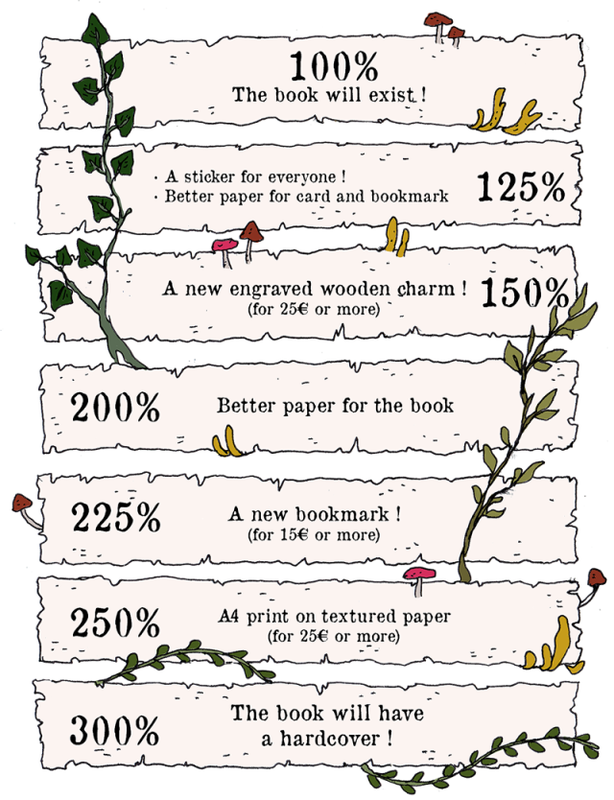 If we surpass the original goal we'll unlock a lot of new rewards! The magic of the forest is not like an usual fairy-tale, it's something alive, neither good nor bad, sometimes quiet, sometimes brutal, and as poetic as nature itself. 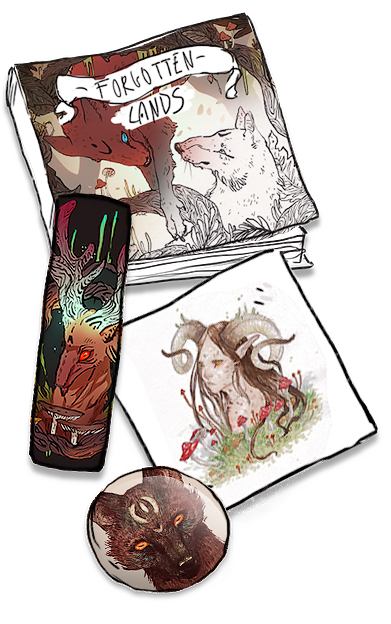 My name is Vassilissa, I'm a 21 years old french artiste who loves to draw ferocious beasts, plants and faery folk. 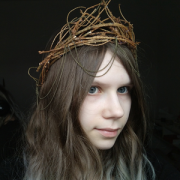 I also love to get lost in the forest (well in fact I get lost everywhere) and I have antlers growing on my head (not easy to put a hat). A double page is dedicated to you IN the book! A scene, an animal, a plant, a fairy tale, or even yourself as a fairy character, something you would particularly like to see in the book, drawn by me and accompanied by a small poem or sentence. 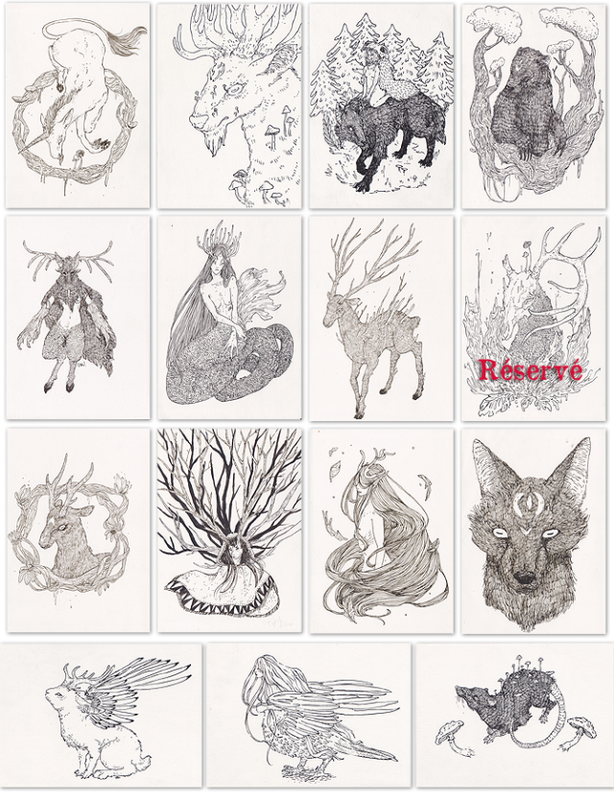 You will receive the original artwork!